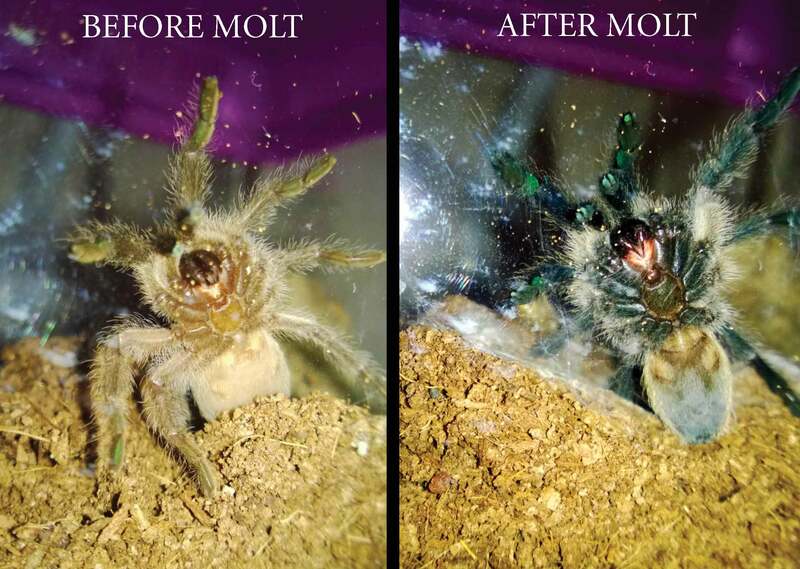 One of my M. balfouri juveniles molted, and I’m delighted to see some of the striking adult coloration (check out those blue legs!). The original photo was taken in late February; the second yesterday. This un-sexed juvi is about 2.25″. I’m looking forward to fattening the little him/her up when the new exoskeleton hardens and he is all ready to eat.